really nice seaside view from the flat, the flat was really clean, very warm welcome, lots of nice things to visit around. Right in front of Ris beach. Great beach and headland walks. 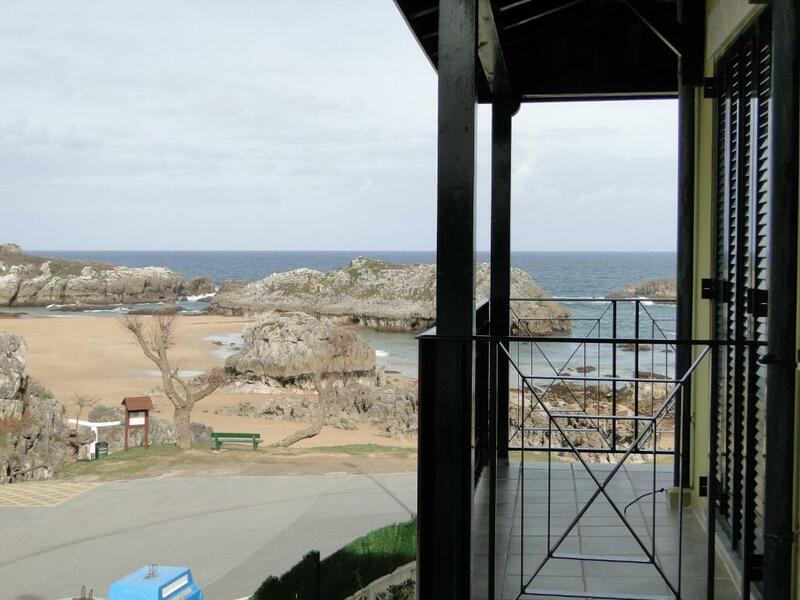 Direct views of ocean and rock formations from inside apartment. 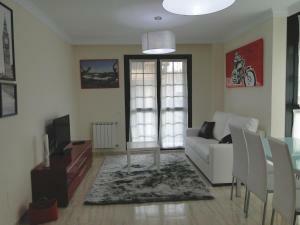 Location is fantastic and the apartment is one of the best I've been on terms of facilities and cleaningness. Hosts are wonderful. Beach is amazing. 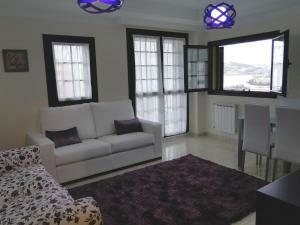 The location near the beach was very good and the apartment had a sea view and was quite spacious. Ubicación perfecta y apartamento perfecto limpio y con todas las comodidades. Muy buena elección. La ubicación del apartamento extraordinaria. Las anfitrionas muy amables y dispuestas a ayudar. El apartamento tenía todo lo necesario para pasar unos días fuera de casa. Hay todo tipo de servicios cerca, pero en marzo estaba prácticamente todo cerrado. La vue.le confort.la propreté.la proximité du restaurant.les information touristiques. La amplitud del apartamento y que es ideal para ir con niños. Empezando por el personal, siguiendo por el apartamento,la ubicación..... En definitiva, todo excelente. Destacar por encima de todo la amabilidad de Maria Jesús, bellísima persona. Muchas gracias por hacer la estancia de mis padres en sus bodas de oro tan maravillosas e inolvidables. Muchas gracias. 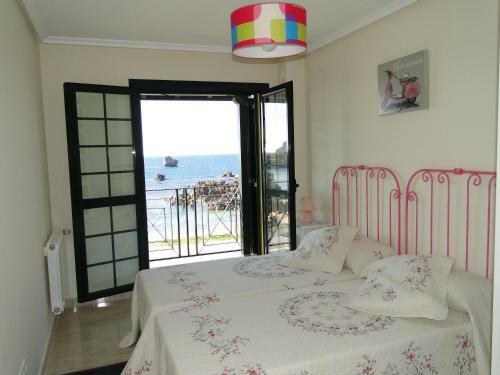 Lock in a great price for Apartamentos El Pinedo – rated 9.5 by recent guests! One of our top picks in Noja – and a guest favorite. Located is Ris Beach, Apartamentos El Pinedo are just 30 feet from the beach. This property offers guests access to a seasonal outdoor pool and gardens. These modern apartments have flat-screen TVs and furnished terraces. 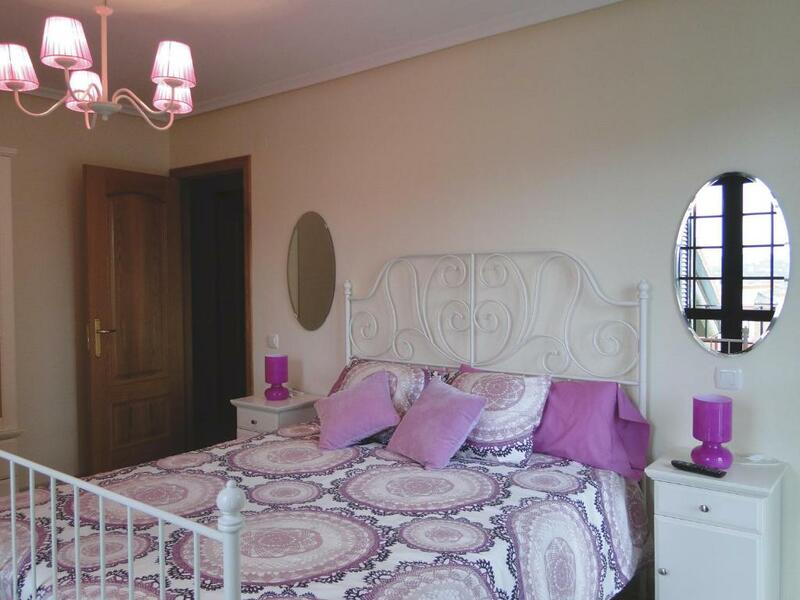 Each El Pinedo Apartment features a master bedroom with a double bed and private bathroom. There is a living-dining room and an additional bathroom with a shower. You can prepare meals in the kitchenette, which includes a microwave, ceramic hob, dishwasher and washing machine. Shops and restaurants can be found within a 5-minute walk. Apartamentos El Pinedo is less than 0.6 mi from Noja Golf Course. 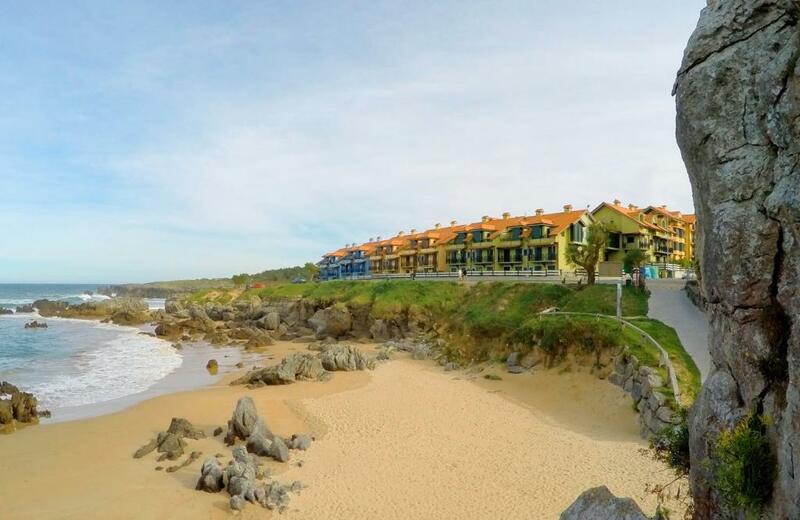 Santander is a 45-minute drive away. Free Wi-Fi is provided. This property also has one of the top-rated locations in Noja! Guests are happier about it compared to other properties in the area. This property is also rated for the best value in Noja! Guests are getting more for their money when compared to other properties in this city. When would you like to stay at Apartamentos El Pinedo? 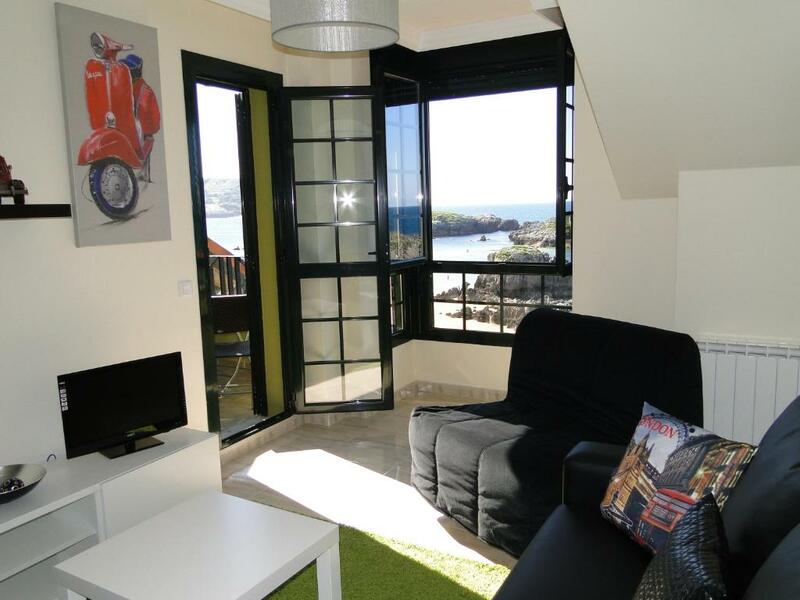 This stylish modern apartment comes with a balcony with sea views. 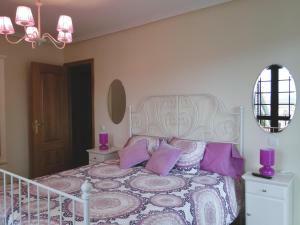 It features a master bedroom with a double bed and private bathroom. There is also a twin bedroom, a living-dining room with another flat-screen TV and an additional bathroom with a shower. The kitchenette includes a microwave, ceramic hob, dishwasher and washing machine. Pillows and blankets are included, but sheets and towels are not provided. There is no cleaning service. Please note that most apartments come with a terrace. This stylish modern apartment comes with either a terrace or balcony. It features a master bedroom with a double bed, flat-screen TV and private bathroom. There are 2 twin bedrooms, a living-dining room with another flat-screen TV and an additional bathroom with a shower. 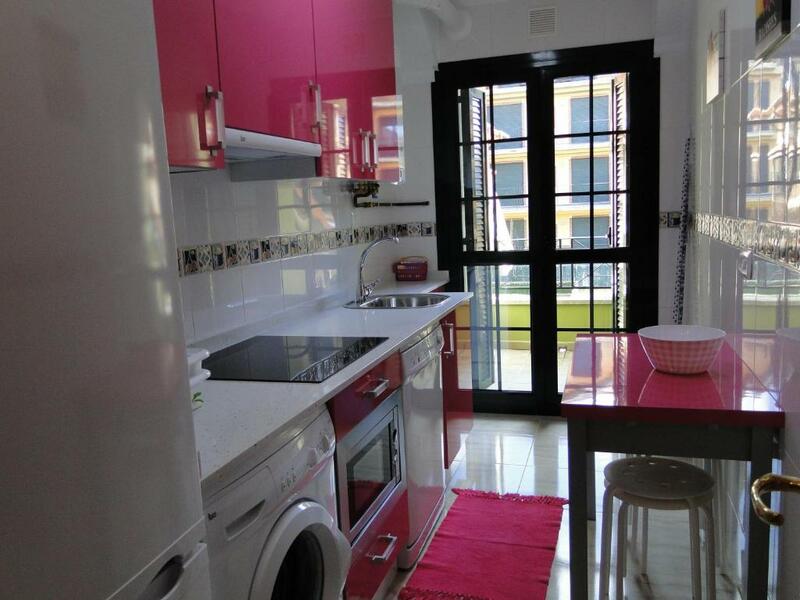 The kitchenette includes a microwave, ceramic hob, dishwasher and washing machine. There is free WiFi. This stylish modern apartment features free WiFi and comes with several balconies. It features 3 bedrooms, living-dining area, 1 bathroom and 1 or 2 additional bathrooms with a shower. 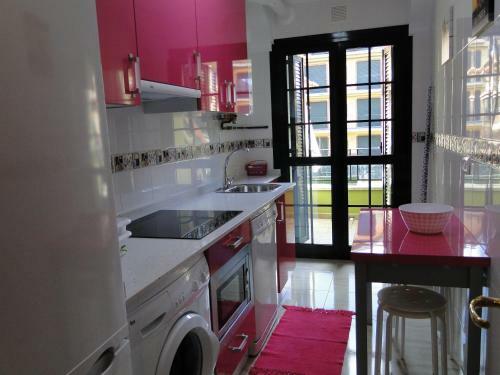 The kitchenette includes a microwave, ceramic hob, dishwasher and washing machine. Please note that this apartment does not offer views of the sea. This apartment features a dining area, sofa and seating area. House Rules Apartamentos El Pinedo takes special requests – add in the next step! One child under 2 years is charged EUR 5 per night in a crib. Apartamentos El Pinedo accepts these cards and reserves the right to temporarily hold an amount prior to arrival. Please note that late check-in after 22:00 carries a surcharge of EUR 20. Please contact Apartamentos El Pinedo over the phone prior to your arrival. Please note that sheets and towels are not included. Sheets are available to rent, upon request and subject to availability. The outdoor pool is open from approximately mid-June until mid-September, depending on weather conditions. Please note that the apartment will be cleaned only prior to the arrival of each guest. Booking made a small mistake with the reservation that created confusion with the property owner. It was solved and I guess it shall not happen again.